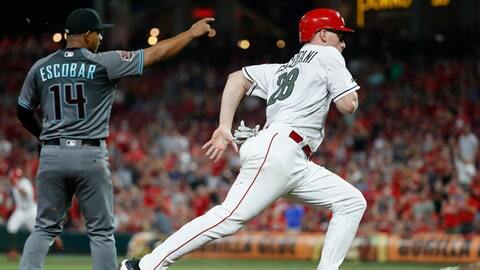 DeSclafani struck out a season-high nine to outduel Clay Buchholz and singled before scoring one of Cincinnati’s two runs on Billy Hamilton’s suicide-squeeze bunt to help the Reds beat the Diamondbacks 3-0. The Reds, opening a nine-game homestand as the Central’s last-place team and coming off a 2-7 trip, pushed a run across in the sixth on back-to-back leadoff singles by Jose Peraza and Joey Votto, and Eugenio Suarez’s sacrifice fly to left, one step away from the warning track. 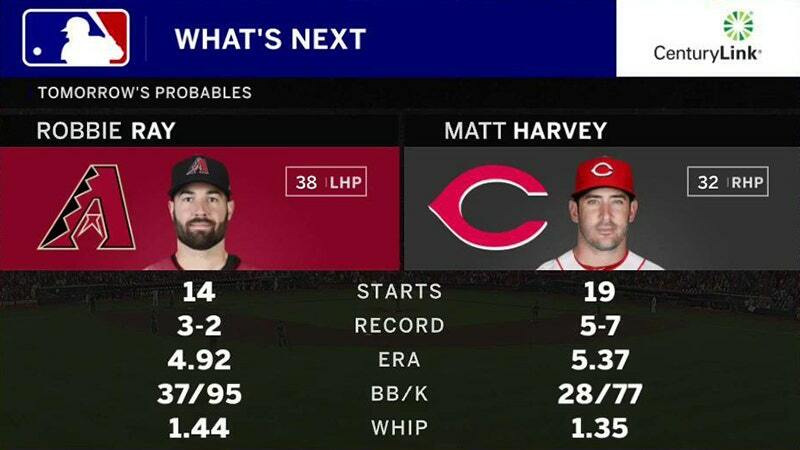 Opponents are hitting a combined .195 with 48 strikeouts in Diamondbacks LHP Robbie Ray’s seven road starts this season. Reds RHP Matt Harvey (5-7) has a 10.66 earned-run average in his three starts since the All-Star break.